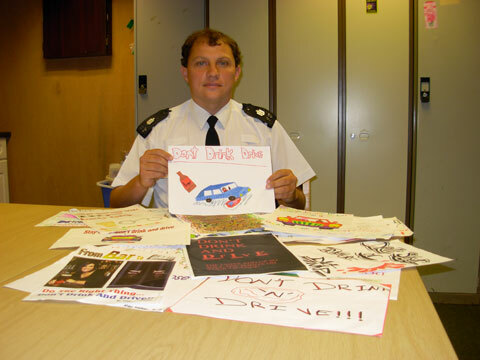 Artistic youngsters are being urged to enter Alderney Police's drink-driving poster competition. The winning designs will be put up in pubs and hotels in the island to warn people not to drive after drinking alcohol. More than 25 entries have been received so far but SC Paul Maurice would like more young people to enter. Designs, which could win £25, should be dropped off at the police station. The closing date is August 7.